Stop being couch potatoes, throw away your gadgets and go out to explore the world – that was Pope Francis’s message to a crowd of young people in Krakow, Poland. The pontiff certainly knows about living an active life, as pictures on social media show. “…In life there is another, even more dangerous, kind of paralysis…[It] comes from confusing happiness with a sofa. ‘Sofa-happiness!’ A sofa that promises us hours of comfort so we can escape to the world of videogames and spend all kinds of time in front of a computer screen,” Pope Francis told the crowds on Saturday. “And little by little” computers and other gadgets only help children to “grow drowsy and dull,” said the 79-year-old head of the Catholic Church. “The times we live in do not call for young “couch potatoes”, but for young people with shoes, or better, boots laced. The times we live in require only active players on the field, and there is no room for those who sit on the bench,” he said. 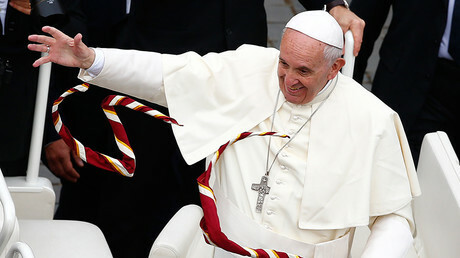 Pope Francis’ visit to Poland has been scheduled to last five days. The pontiff has already visited the former Nazi Auschwitz-Birkenau death camp and prayed at Poland's holiest shrine in Czestochowa. The Catholic Church organized his visit for World Youth Day, an annual holiday, which was held from July 26–31 this year. The pontiff has been communicating with numerous people during his time in Poland and has even posed for photos. Millions of pilgrims around the world gathered in Krakow to see the Holy leader. The Pope was usually seen standing in his popemobile and hugging or kissing the believers, or simply waving his hands towards the camera. "We came from the other side of the world to hear the pope's message," Christina Criseina, 30, told AFP. The Argentinian-born pontiff even abandoned the luxury of his popemobile and travelled by tram. The Pope also enjoys selfies. This one was released on his official Instagram account, which has 2.9 million followers. “Our response to a world at war has a name: its name is fraternity,” he wrote. 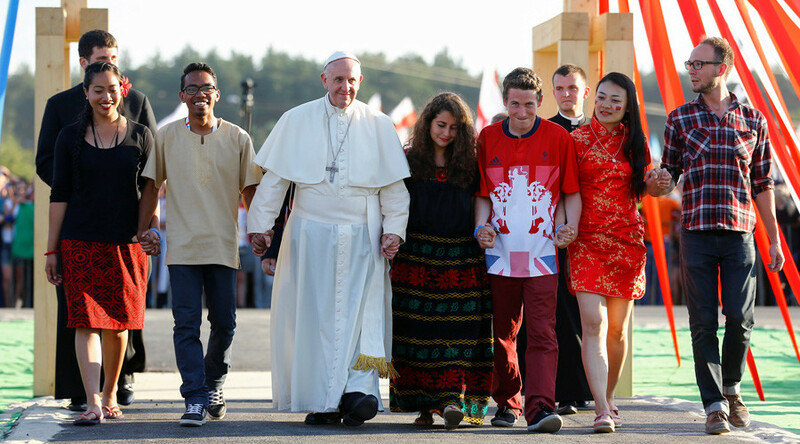 Pope Francis was seen holding hands and walking with young representatives from every continent as part of the World Youth Day. He certainly made sure that he got out and about and had his photo taken with this girl. And laughs with this one! And poses with this little guy in a funny cap. The pontiff also visited children with special needs and kissed and blessed everyone. And, of course, the pontiff enjoyed the voice of Sister Cristina, probably the most popular singing nun in the world. The Italian Ursuline nun rose to fame in 2014 after winning The Voice of Italy contest and then striking a record deal with Universal. Apparently the Pope is not planning to lie on the sofa and watch TV!